On Thursday, the Center for Constitutional Rights challenged the NYPD’s body camera policies, asking a judge to block the city’s forthcoming pilot program, which is slated to outfit 1,000 officers with body cameras as early as next week. The cameras were supposed to be a step forward for police accountability and transparency, but the CCR says the current policy dictating their use gives officers too much discretion about when to record, and makes it too difficult for the public to see the footage after the fact. In 2013, the CCR won a landmark ruling against the NYPD that found the its stop-and-frisk policies violated the 4th and 14th amendments rights of black and latino men, who were unfairly targeted by the practice. The court ordered a series of reforms, one of which was implementing a body camera program to increase officer transparency. The crux of the CCR’s challenge is that the NYPD’s current body camera policies instead undermine officer transparency, and thus doesn’t satisfy the reform requirements granted by the original suit. They want the NYPD to hold the program until the policies are revised. “We’ve asked that the policy require that any time an office speak to a civilians pursuant to investigating any type of criminal activity...that encounter should be recorded,” Darius Charney, Senior Staff Attorney for the CCR told Gizmodo. Charney has two main concerns about letting cops decide when to record interactions. First, there is the possibility officers will wait until an encounter turns hostile and then record, showing the altercation but not what preceded it, and crucially, what role the officers’ actions may have played in its escalation. The second argument against the policy concerns who can review footage captured by police b0dy cams, and when they can review it. 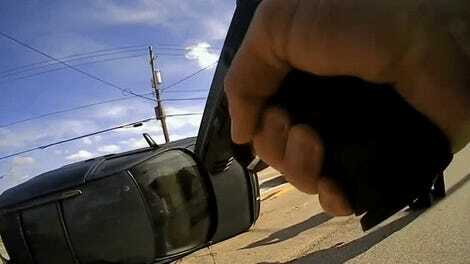 In short, the policies make it very easy for officers to review footage, but very difficult for everyone else. Specifically, under the policy as its written, officers can generally review body camera footage at any time under the policy as written, even before filing official statements. But civilians must file a Freedom of Information Law request with the NYPD via a written letter, even if they themselves appear in the video footage. The disparity in access to the footage hinders police accountability, Charney said, by giving officers an unfair advantage if civilians file a complaint about an encounter caught on tape. Officers’ statements will always be in line with what the video shows, as they can review footage before filing any official statements. Civilians, meanwhile, must only rely on their own memories, leaving them with a “steep hill to climb,” he says, when filing complaints. A number of civil rights advocates reviewing body cameras recommend officers review footage only after filing statements. “The point of a camera is to provide an independent perspective, independent from both the civilian and the police officer, of what happened,” he said. There’s no guarantee the body camera rollout will be put on hold until the judge makes a decision regarding the policy. The challenge was filed only about a week before the NYPD is set to begin the program. But, if the pilot begins as planned, and a judge ultimately decides to compel the NYPD to change its body camera policy, it would mean officers would have to adopt new rules for camera use in the middle of the program. “That kind of confusion is what we would like to avoid,” Charney said. At the end of the year, the NYPD will evaluate and review the efficacy of the cameras. Swapping policies midway through the pilot would impact the results, he said, as officers struggle to acclimate to shifting policies. As the largest police department in the country, the NYPD’s evaluations are hugely important in how future policies across the country are shaped, particularly as more and more police departments adopts cameras. 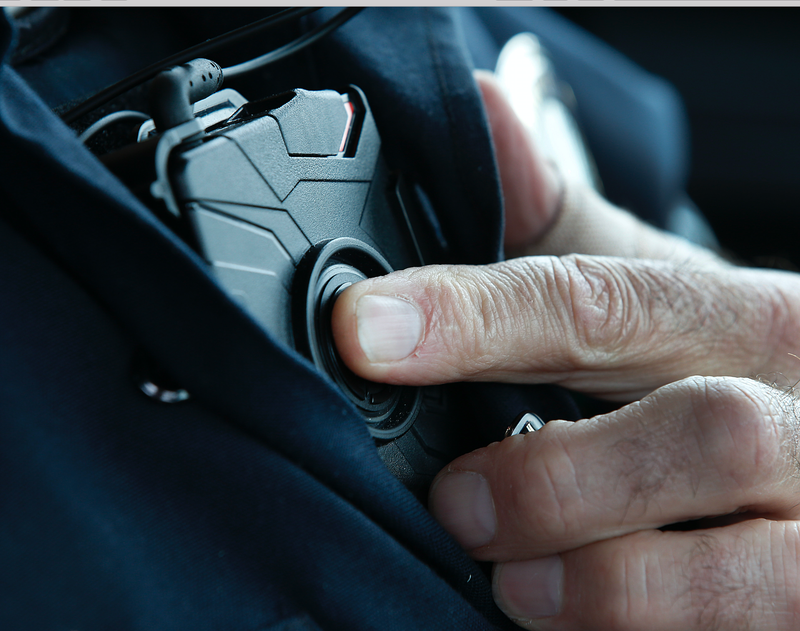 The Department of Justice has spent $40 million on grants for body camera programs across the country and Axon, the largest US body camera manufacturer, is offering a full year of free service to police departments who want to try them out. As the technology spreads faster than regulation or robust discussion on best policies, there’s no guarantee body cameras will uphold the goals of accountability and transparency they were sold under.